Golar LNG Limited has received a $700m financing commitment for FLNG Gimi and has subsequently issued Keppel Shipyard with a notice to proceed with the project. The financing has been provided to Gimi MS Corporation, 70% owned by Golar and 30% owned by Keppel Coportation’s Keppel Capital Holdings, by banks including ING, Natixis and ABMN Amro. The financing has a tenor of 7 years and 12-year amortisation profile. The FLNG vessel will be used at the Greater Tortue Ahmeyim project, with production expected to commence in 2022. The project is located on the Mauritania and Senegal maritime border. Additionally, Golar LNG has been given a notice to proceed by LNG Hrvatska, the developers of the Croatian FSRU facility. Golar will be converting 2005-built LNG carrier Golar Viking. Conversion will be carried out at China’s Hudong, while CSSC Leasing will provide conversion financing. 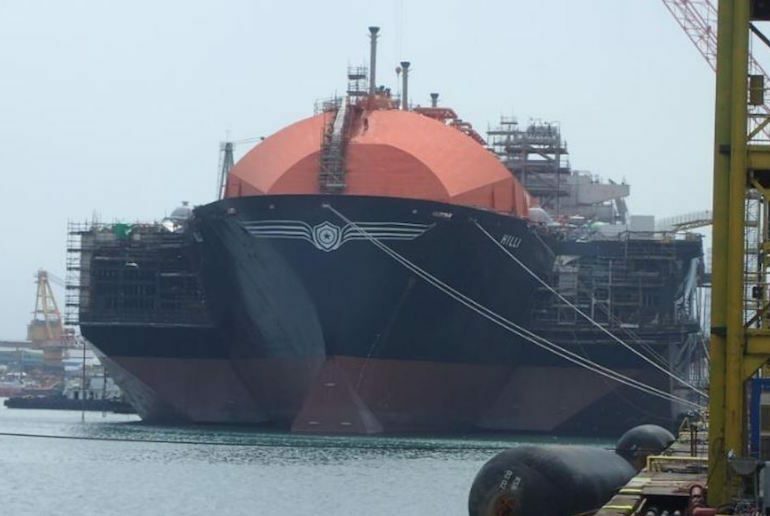 The vessel will be sold to LNG Hrvatska for €159.6m ($180.1m) and Golar will operate the FSRU for ten years. Golar has also received agreement from lenders of the FSRU Golar Tundra to extend the June 2019 maturing facility to June 2021.